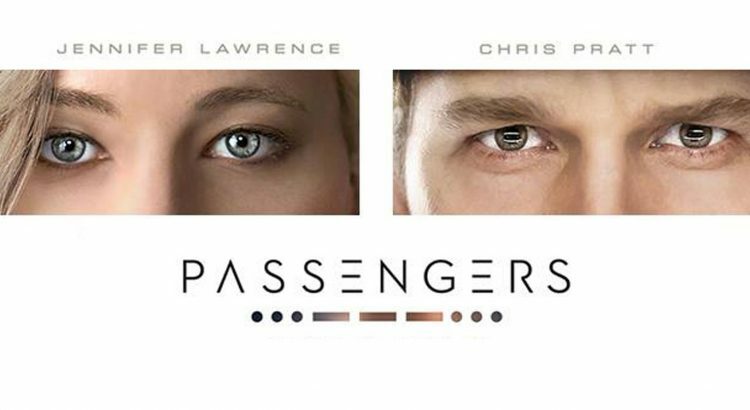 Passengers hit a lot of right notes for me, but it was more straight forward than I thought. I think maybe I have become a bit jaded, but I was constantly on the lookout for the “twist”. Was this really happening to our characters? Was this perhaps an elaborate simulation? Aliens? A bad trip at Re-Call? I am glad it did not meet my expectations. Is this the Martian? Nope. But it is at parts a relationship movie and a survival movie. In Space. Chris Pratt plays Jim, a mechanic, who is going to colonize Homestead 2. The trip from Earth will take 120 years so the crew and passengers go into hibernation or cold sleep for the journey. But Jim’s pod opens 90 years early. As Jim explores the ship, we are introduced to the environment and the technology of this universe. After a year, Jennifer Lawrence’s character Aurora, an author, wakes up. They both frequent a bar run by an android played by Michael Sheen. This android is the only other humanoid they come into contact with. Throughout the time we see Jim and then Aurora awaken, we see small glitches on the ship. Eventually those glitches get bigger and bigger. They culminate in a failure that threatens the entire ship and everyone sleeping and awake in it.